Choosing the right window cleaning contractor can be difficult, for us the decision is balanced between quality and competitiveness and that’s where we excel. Our business is based on principles of honesty, integrity and operational efficiency. Our passion is to deliver a service that ensures a safe working environment for our staff, our clients and members of the public. SPM staff are employed direct, we do not sub-contract, this ensures a level of control that is reflected in the standard of service. As a result, our team are highly qualified, professional and determined to provide an excellent service to our clients. SPM policies promote social, ethical and environmental best practice whilst at the same time providing a highly competitive service. 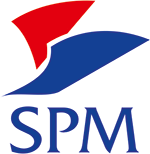 SPM have invested heavily over the years to ensure exceptional service, this is achieved through infrastructure, knowledge and experience along with the IT, admin and help-desk support. This puts us in a strong position to service national window cleaning contracts or individual sites directly or with our strategic partners in a support capacity.